Built in 1851 by dry goods merchants Bunn, Raiguel & Company – importers of silks and other dress items – 135-137 N. 3rd Street is a five-story, Italianate-style brownstone store and warehouse building in the historic Old City neighborhood of Philadelphia. 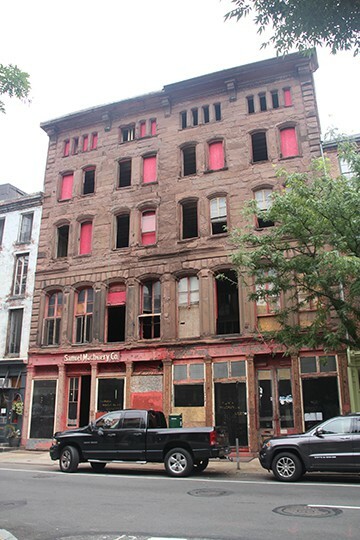 Although highly characteristic of commercial buildings of this period in the Old City Historic District, the building unfortunately suffered from a lack of maintenance in past decades, leading to a highly deteriorated brownstone façade and an interior in disrepair. 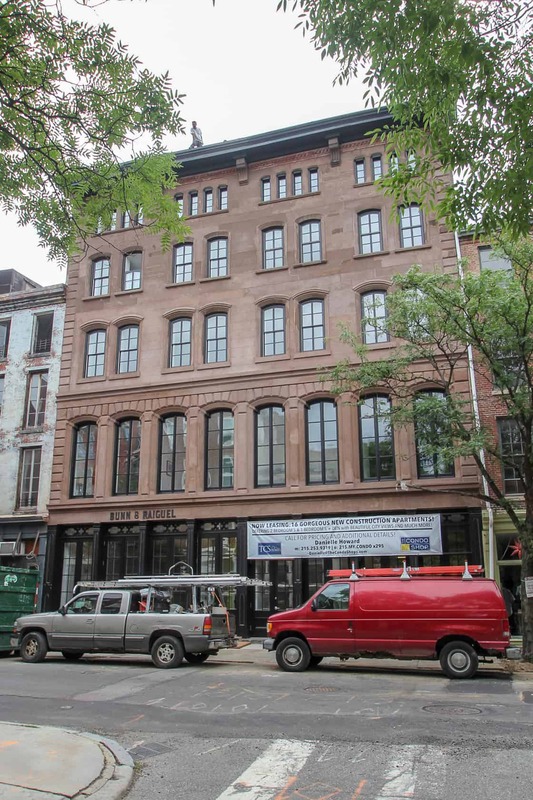 Beginning in 2013, the owner began a complete rehabilitation of the building, adapting the former warehouse spaces into sixteen new one-bedroom apartments with retail spaces on the ground floor. Apart from renovating the raw interior spaces into livable apartments, the most challenging aspect of this project proved to be the brownstone façade, which had suffered greatly over the years. Despite these challenges, the brownstone façade was expertly restored through a combination of mortar patches and Dutchmen repairs. New insulated wood windows were also installed to exactly match the historic windows, only fragments of which remained when the project began. Perhaps most strikingly, the original storefront was fully restored – the original cast iron piers were repaired and repainted and new glazed wood doors and quatrefoil transoms were installed to match the originals.